5) Chris Thompson – Everybody is looking for RBs for depth or to start. Thompson has been a top 10 PPG producer among RBs this season but hasn’t had a ‘wow’ game in a couple of weeks. People always feel he’ll turn back into a pumpkin. You might get him for near RB2.5 value all of a sudden. Rob Kelley out may give him a few extra touches if Perine slips. 4) Joe Mixon – For those where the season is slipping away and you’re looking for an RB to rise up from fantasy mediocrity… For those in good shape but want to collect high upside pieces for the stretch run. All I can say is – every time I watch Cincy tape, I am left jaw-dropped by Mixon’s physical ability. Maybe he pops from here? He’ll be a top 5 RB1 of the future…buy in now for dynasty. 3) Sterling Shepard – I’ve had him on various lists here for weeks, and now he’s coming off a career day…so, why now/again? I just believe he’s going to be a strong WR1 possibility for the ROS…like a 6-8+ catches a game in constant losing efforts with a ton of garbage-time. If the current owner ‘found’ him and has this great Week 10…they might see him as just a WR2.0-2.5 to move ‘hot’, and you might have a recent-hot player to dump on them in they exchange…while they think they’re ‘selling high’ on Shepard to you. Be a buyer. 2) Dak Prescott – This week will be one where the media crushes Dak/Dallas. There is fear of Tyron Smith out another week. There is fear with Elliott out. Current owner might be on the ropes and cannot afford to wait. You know Dallas will fix/patch the O-Line issue without Smith, if needed. Elliott will probably return in Week 14 – in time for the FF playoffs. Everything could be fine with Dak in another week or so – a great QB to sit on and ride the storm out if you can. 1) Brandin Cooks – He’s been here much of 2017. He’s been WR2 not WR1 this season, but I think the WR1 pop is just waiting to pop. The reason for the renewed enthusiasm is the schedule ahead – OAK, MIA, BUF, MIA…and now PIT with no Joe Haden, and BUF. Worst case Cooks doesn’t hurt you acquiring. Best case he explodes. Cooks hasn’t had ‘wow’ in a while so the price is WR2 range…I’m willing to try to craft a deal with smoke and mirrors to get him for that price. Looking for a WR1 at WR2 prices. 5) Antonio Brown – Just a reminder… Those in dynasty may have wanted to get out sometime this year for fear of ‘no Ben’ next season. However, the ‘Ben effect’ may already be happening to a certain degree – Brown has 3 TDs this season…on a pace for 5.3 TDs for the full season. The last three games for yards: 65-70-47, last 3 for catches: 4-5-3. The ‘wow’ numbers are not happening as frequently. I’m just noting in case you want to get out ahead of a price fall…we’re about at the time. Sweet schedule the rest of the way, however. 4) Cam Newton – Cam is Mr. Monday Night. Huge performance in a game people focused on. I’ve wanted you to consider buying low on Cam to turn your season around…this was another reason why. However, now may be the time to ‘flip this Cam’ if someone will give you strong QB1 valuation for him. 3) Alfred Morris/Rod Smith – If the current Ezekiel Elliott owner is scrambling at RB and you can give him the bridge piece(s) until EE comes back, and you get a respectable deal – I’d take it. I think we might be banging our heads against the wall trying to bet on either of these guys. You may not even start them this week. Elliott may be back after four weeks out. If so, what are you giving up here? Don’t give them away but if they can be part of some deal with the Elliott owner where they have more desire for either/both…you may want to escape. 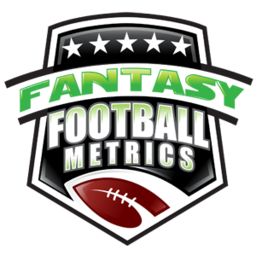 2) DeMarco Murray – After a nightmarish season, Murray finally had a great FF day…3 TDs. He still looks terrible. Tentative. No holes opening. Just 3.0 yards per carry. Use the 3 TDs to dazzle someone looking for desperate RB help. RB1.5-2.0 valuation is good enough to sell him off on. 1) Jay Ajayi – (Exactly the same rationale as last week) I’ve beaten the drum for this over and over…Ajayi is not a talented RB. He’s OK/useful, situational. The media thinks this the greatest trade in the history of football. A long TD run in a blowout validated their thinking here (just his 3rd TD run in his past 17 games). Sell this guy ASAP. He’s going into a committee and he’s not the receiving back or the best power back. The Eagles rotate with zero concern for who needs/wants touches. The Eagles O-Line is down a bit. Sell him as an RB1.5 and don’t look back. Take RB2 money if that’s all that is out there. 5) Jamaal Williams – The Packers offense is a mess. They are missing a key member of their O-Line. Ty Montgomery may be able to play. Just some of the reasons why this could be a waiver move people chase and it bites them. You likely get one week, if you’re lucky, out of this play. You have to hope Montgomery gets put on the shelf longer. It’s possible. But even Jamaal as starter in this offense…not that great. I claim Williams just to deal him ASAP. 4) Samaje Perine – No more Rob Kelley. Jay Gruden has to use Perine…and as I’ve been noting for weeks – Perine is showing a spark running the ball. He just needs a little wave of positivity to happen and he could help fix a part of the Washington offense. Risk that he gets ignored, still, but upside that this is finally IT. His ‘it’ opportunity…and he seizes it. 3) Danny Woodhead – An old RB with injury issues, coming back for what? Gimme the better version in Rex Burkhead. Claim Woodhead and trade him ASAP. 2) Rex Burkhead – More and more becoming the Wes Welker option out of the backfield. Starting to see more carries. Finally, this is paying off. 1) Corey Coleman – Comes back to a terrible matchup vs. the Jags, but then should be fine after that. He’s the team’s #1 WR and the guy Kizer loves to throw to. He might see 10-15 targets every week…which, with Kizer, means 3-4-5 catches and maybe something good in yards?? WRs are drying up now that Woods, Shepard, Lee, etc., have been claimed in prior weeks – here’s a guy who is his team’s CLEAR #1 the moment he steps back onto the field. 5) Chester Rogers – Caught a lucky break with a 61-yard TD versus the Steelers. Had a nice output game but he’s not going to be a huge producer working in this offense. He’s not a bad WR at all, but the #3-4 WR for the 2017 Colts is nothing to get excited about. 4) Teddy Bridgewater – He won’t start this week. No way. You can’t pull Keenum on a 5-game win streak, and especially going to face his old mates this week. Teddy is at least a week away…and upon his return, then, three straight home games against tougher matchups mostly – DET-ATL-CAR. I don’t trust Teddy returning into this offense. 3) Corey Clement – Great output game Week 9, and some are thinking he’s a possible 1-2 punch with Jay Ajayi…won’t happen. The Eagles play random RBBC at RB. 2) Dede Westbrook – Allen Hurns out for a few weeks, and Westbrook activated is going to get people excited. Why? I have no idea. Keelan Cole has beaten him out this season, and Cole is getting better every week. Westbrook isn’t that good and probably plays a few snaps and sees a target here and there. The football media loves this name but that’s meaningless. 1) Austin Ekeler – Ekeler is a relief RB on a team that is going to shove Melvin Gordon down everyone’s throats at all costs. He will never overtake Gordon and he won’t get enough work to matter for FF most weeks. Had a nice moment last week, and it will be forgotten shortly. 5) Devante Mays – OK, so if Aaron Jones and Ty Montgomery are out for awhile…Devante Mays is going to get activated and if he’s active then he might blow past Jamaal Williams when he gets his touches. I’m just sayin’…Mays is similar to Williams and would be a heartbeat away from getting all this Jamaal love. 4) Bruce Ellington – Broken record on this since the preseason – Tom Savage has a special connection with Ellington. Will Fuller is out for a bit and Ellington is going to see nice target levels like he has the past two games (8 targets each game). 3) Josh Doctson – We’re getting closer to Doctson ‘happening’ now. It seems like we’ve been waiting for five years the past season and a half. There were a few false starts this season (a TD, or a big catch) but never any ‘wow’ numbers and/or consistency. I think we’re within a week or three of this being like Robert Woods…it seems promising, but you’ve heard the hype before, you get him and then he has an ‘almost’ week and a decent/OK game and he seems droppable and then POW! he’s the ‘it’ thing. I think we’re on the verge. 2) Greg Olsen – Carolina has a BYE next week, and then the word is Olsen is back Week 12. 1) Jimmy Garoppolo – BYE this week. Starts Week 12. For those in need of a QB2 who could heat up and help as a QB1. I don’t imagine the 49ers brought Garoppolo in to show off his ability to hand the ball off. It’s an extended practice/training camp…the more throws the better and SF will be down and out (and throwing) plenty ahead. In his four losses, C.J. Beathard threw 41.3 times per game. 5) Jordan Matthews – The Bills passing game blows. Kelvin Benjamin seems to be too important. Zay Jones will return. JMatt hasn’t mattered all year. 4) Will Fuller – There’s no need to rush him back, so he’ll be out longer than you think. Plus, with Tom Savage…Fuller doesn’t matter any more than a random WR3. Probably, WR4. If you need the roster spot, cough it up. 3) Dwayne Washington – I keep thinking and hoping but it never works/means anything. Some of have been holding for weeks/a year+ on dynasty rosters not wanting to ‘miss out’. I still think he’s worth holding on a deeper roster league (20-25+) but if you see anything better to gamble on…nothing seems imminent or ‘on the verge’. Plus, by you giving up on him -- it means Abdullah will get hurt this week, Washington comes in and takes off and someone else gets him and enjoys the fruits of your labor. Unlock the jinx! 2) Aaron Jones – Who cares if he’s back in 3 weeks? He was already falling into a split on a bad offense. The 3 weeks will probably be 4-6…whatever it is you’re waiting for nothing special given the surrounding circumstances. 1) Rob Kelley – I heard a discussion on the XM fantasy channel last night driving for 2-3 minutes…and the hosts were forlorn that Rob Kelley was hurt and would miss time and weren’t sure whether you should keep Kelley or not. Wait, what? If any of you keep Rob Kelley this week I disown you. Even if you have Samaje and want to hold the handcuff just in case…Kelley isn’t coming back this season. He was already awful when healthy, can you imagine him working with a PCL sprain? That’s a 4-6 weeks injury to bounce back from. 5) Marcus Mariota – Need a QB2 for the playoff run? A guy who was a QB1 last season and has been when playing full games this season? Why you want him – Weeks 12-15: IND-HOU-ARI-SF. It also means Rishard Matthews has value (as always). 4) Sterling Shepard – An NFL team’s clear #1 WR…on a team that will be down/throwing all the time – and he’s trading like a WR2.5. 3) Jerick McKinnon – People still do not believe. He has the talent of a top 5-8 RB1 but trades like an RB2+. You could do worse than a PPR fantasy backfield of McKinnon-Thompson. 2) Chris Thompson – Top 8-10 PPR RB this season, but people believe he’s more like top 20-25. Coming off a ‘low’ week…it’s a great weak to snag a sneaky RB1 for an RB2 price. 1) Russell Wilson – Wilson’s getting ready (already is) to make a run to be the #1 QB for fantasy by 2017 end. He’s already top 3-5. He’s not simple to get but people still undervalue him much like they do with our recent ‘trade for’ staple Dak Prescott. Wilson is a QB that might take you to a title because Seattle cannot run and they are back to putting it all on Wilson. 5) Derrick Henry and/or Demarco Murray – No matter how bad these guys are, there is typically a buyer on Murray. He’s been awful. Hurt or whatever…let someone else gamble. If Henry gets the ‘more touches’ chatter then see if you can dump him as an RB2 valuation potentially. The Titans run game is terrible and these guys are the worst. Hold as RB3s…sell as RB2s. 4) Will Fuller – ‘Tom Savage’ is one big strike against him, but the other under-the-radar items is – Savage likes Bruce Ellington as an option in the passing game. Last week, Ellington and Fuller both had 8 targets. You think Fuller might get that lightning strike here and there…chances are reduced even more with Savage-Ellington taking a few targets. 3) Alex Collins – Another of our top guys to cash out on last week. Take what you can get here. RB2 value hopefully. 2) JuJu Smith-Schuster – Like the player OK, but I know the Steelers #2 WR isn’t more than a WR3 at best. However, the hype from his last game says WR2 trade valuation. Cash in. You should have last week when the lust was hotter. 1) Jay Ajayi – I’ve beaten the drum for this over and over…Ajayi is not a talented RB. He’s OK/useful, situational. The media thinks this the greatest trade in the history of football. A long TD run in a blowout validated their thinking here (just his 3rd TD run in his past 17 games). Sell this guy ASAP. He’s going into a committee and he’s not the receiving back or the best power back. The Eagles rotate with zero concern for who needs/wants touches. The Eagles O-Line is down a bit. Sell him as an RB1.5 and don’t look back. Take RB2 money if that’s all that is out there. Ajayi for McKinnon…you bet. 5) Marquise Goodwin – De facto #1 WR for the 49ers now. Had 8 targets Week 9 in his new role. It may be a ‘who cares’ moment, but in Week 12 with Garoppolo (maybe) it could be a little more exciting. 4) Orleans Darkwa – Not a fan but just note – facing the 49ers this week…the worst run defense in football this year (and last year) and just lost one of their best run stoppers (J. Tartt) on top of a thousand other injuries they have. 3) Marqise Lee – Four guys who are underrated #1 WRs for their team are on this list in this section. Lee can’t go higher than this because he’s the top target of Blake Bortles and ‘Bortles’ typically leads to disappointment. 2) Robert Woods – We’ve been talking about Woods as the Rams #1 WR for a few weeks, now everyone knows it. He’s the most trusted WR on the top offense in the NFL. 1) Robby Anderson – He’s moved into a clear #1 WR role with the kicker that he is a really good, possibly great WR. I’ve believed in his talent just not his targets (or QB/coach) earlier this year…I do ‘believe’ enough now. 5) Stephen Anderson – Anderson isn’t bad and had a nice Week 9, but the Texans pass game is garbage and C.J. Fiedorowicz returns soon. 4) Josh Doctson – Great end of game ‘Hail Mary’ catch but before that…not much in Week 9…just like all season. Not ready to be trusted yet. 3) Peyton Barber – If he were named a starter, he’d instantly be the worst starting RB in the NFL…worse than Rob Kelley. He’s not going to be a starter. 2) Corey Clement – Great week…good luck chasing the butterflies known as the Eagles’ RBs every week. 1) Terrance Williams – Never is consistent, I don’t care that he had a nice output Week 9. Was almost nothing for weeks leading up to this game. 5) Mack Hollins – He’s going to be a starter before long. He’s a lesser, but tougher Jordan Matthews type WR. 4) Curtis Samuel – His numbers are inching up every week and Kelvin Benjamin traded away increased his targets even more. There’s a lot more Samuel can offer this offense. Not sure we’ll ever see it since Christian McCaffrey is a black hole of sucking up all touches. 3) Rod Smith – The pure gamble that Elliott gets suspended this week and that Smith becomes ‘a thing’ and takes off to be a fresh young RB that cannot be denied working behind Alfred Morris to start. Beyond a long-shot play. 2) Devontae Booker – If Denver starts making wholesale changes…one of them could be Booker named as starting RB. 1) Dallas DST – Held KC to 17 points…10, if you consider the Tyreek miracle. Held Washington to 19 the week prior. Crushed SF the week before that. They’ve been whooped by Goff and Rodgers…the best offenses in the NFL outside of Dallas. They’ve crushed everyone else except Denver Week 2 which was an odd game. They’ve been emerging, getting healthy for weeks. You don’t have a Jacksonville, Pittsburgh, or LA Rams? Consider dem Boys are about to crossover into an elite defense. 5) Donte Moncrief – He disappeared like 2-3 weeks ago and no one noticed. He still plays but doesn’t see many passes. 4) Brett Hundley – Two weeks to prepare, and 3+ years in ‘the system’ and we get Hundley throwing a bunch of screen passes on MNF. No thanks. All the fears of Mike McCarthy are true…he should be an unknown O-Line coach for Andy Reid, but Aaron Rodgers gave him life. McCarthy is the worst. He cannot develop talent at QB, despite that supposedly a specialist, and he won’t change his offense for Hundley into a spread attack. He deserves to lose the rest of his games this season. 3) Samaje Perine – Still think he could save the Redskins running game, but Jay Gruden has no confidence in him. 2) Wayne Gallman – Had a moment a few weeks ago. Told you to run. Now it’s beyond time. 1) Tom Savage – I’m not supporting anymore deep pocket, medium-deep throwers who need a ton of blocking to activate. The league isn’t built like that anymore. It was in 1970-2000+ but it’s not anymore. It’s all about quick passing, mobile QBs, and O-Lines that only hold for a short amount of time. Savage and stiff pocket QBs of his ilk are dinosaurs…and the Texans O-Line is a disaster that Deshaun Watson was propping up.